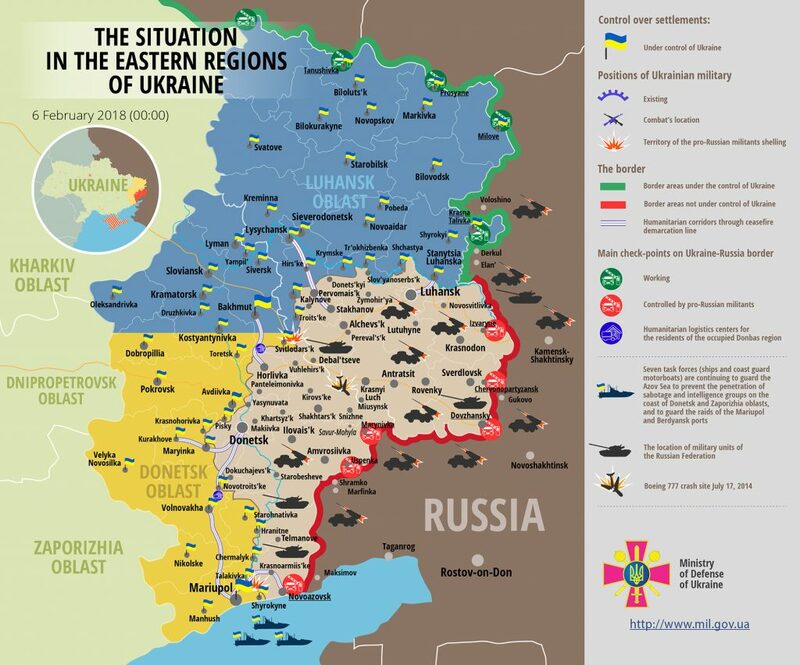 Over the last day, Russia-backed militants made four precision attacks on Ukrainian troops, positions. They fired twenty-seven 82-mm and 120-mm mortar rounds. “Fortunately, Ukrainian troops incurred no casualties yesterday,” reported Ukrainian Ministry of Defense spokesman on ATO Colonel Dmytro Hutsulyak at a press briefing at Ukraine Crisis Media Center. In Luhansk sector, Russian proxies opened fire in the Svitlodarsk area yesterday. “In the afternoon militants had been shelling Luhanske area for five hours with recesses in course of three mortar attacks,” Colonel Hutsulyak said. Russia-backed militants used both 120-mm and 82-mm mortars having launched 16 and four rounds respectively. The mortars were accompanied by heavy machine guns and grenade launchers. Ukrainian troops returned fire twice. In Donetsk sector, Russia-backed militants violated the ceasefire once yesterday. “At about 14.00, militants made a precision attack on Ukrainian troops’ strongholds in Lebedynske area, having fired seven 120-mm mortar rounds. Ukrainian troops returned fire twice using weapons not proscribed under the Minsk agreements,” Colonel Hutsulyak said. Report on the military developments as of February 5 is available here. Interactive data on the shelling: chronology shelling chart and the interactive map.